Turda Salt Mine / Mina de Sare Turda ( the Romanian official website is: http://www.salinaturda.eu) became the most attractive salt mine from Romania and is a good example about how can be properly used the European Funds to protect natural resources. Its restorations was realized with EU funding non-reimbursable grants accorded to the "Increasing tourist activity in the area with SPA potential: Salt Lakes, Salt Valley - Durgau area and Turda Salt Mine/ Cresterea atractivitatii turistice a zonei cu potential balnear Lacurile Sãrate-Zona Durgãu-Valea Sãratã si Salina Turda" project in the program " PHARE CES 2005". 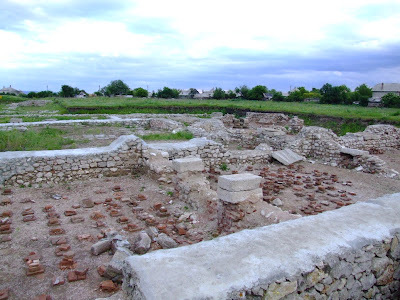 The restoration was started in 2008 and the total EU grants approved to be used was 5.807.120 Euro (Romanian contribution: 950000 Euro and European funds: 4857120 Euro). In this brand new Transylvanian SPA Park is expected that tourism will grow and more than 185.000 tourists will visit it until 2015 (this estimation was mentioned in the project). It is more than a year since was done the mine restoration. 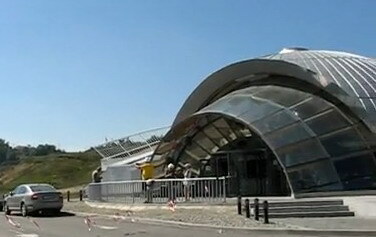 The visitors was invited to use the new entrance from Durgau village where was made a large parking lot and an entrance building with a contemporary revolutionary design. In Turda is one of the most important salt deposit in Romania, Transylvania, being one of the biggest places of salt extraction in entire region since Thracian times. 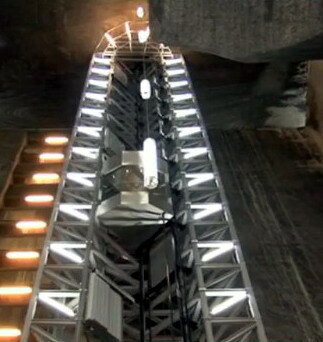 The underground mining is said that was put into systematic exploitation during Roman conquest period. 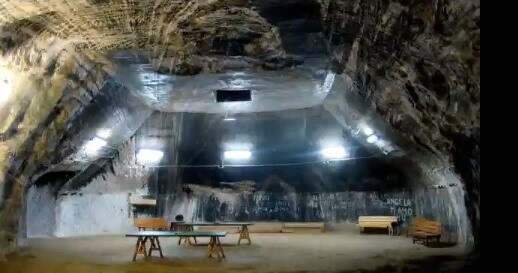 In the official documents from the middle of the 13th century, is written that the privileges for using the salt extracted from Turda Salt Mine was offered to the Transylvanian Catholic Church leaders. During the Second World War the mines were used as anti-aircraft shelter. 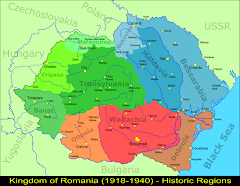 The mine entered the Romanian tourist map in 1992. Over the years, inside the galleries was kept a micro-climate with temperatures between 11-12°C; humidity level 80% and air pressure 747-752 mm Hg (with small variations). This very healthy climate and the salt air ionization is favorable to breathing treatments and people can experience a great time inside the treatment areas with new features and modern design. The mine is surrounded by a beautiful natural reserve (founded in 1938) with a unique landscape: Turda Gorges / Cheile Turzii, where can feel one with nature. In Romania are many scenic routes, and for sure Turda Gorges is one of the prettiest having more than 15km long with arcades / towers formed by the Hăşdatele River and abrupt limestone walls (almost vertical) with 300m high. The gorges walls were formed more than 150 millions years ago, in Jurassic period and are the highest part of Apuseni Mountains, part of the "Apuseni Nature Park" - destination awarded in 2009 by EDEN - European Destinations of Excellence in "Tourism and Protected Area" section. The flora and fauna is impressive in this untouched nature: there live more than 1000 plants and botanical species with European importance (ex: Salicornia europaea / Brânca, Aster tripolium / Albăstrica and Allium obliquum / Ceapa ciorii are protected plants) and habit many amphibians, mammals, invertebrates, reptiles and mountain birds (ex: Golden Eagle / Acvila Aurie / Aquila chrysaetos protected in European Areas). Turda Gorges / Cheile Turzii is surrounded by a varieties of fascinating caves, and near the historical Roman Castra Potaissa / Patavissa (today Turda). A day trip to Turda / Turda Gorges / Turda Salt Mine is a must for any visitor to Romania. It is an excellent destination for every tourist and a fascinating place where nature enthusiast can spend unforgettable time visiting, seeing, making photographs or filming, hiking, biking and free-climbing. It is beautiful, isn't it? My goodness, that ampitheater looks so fascintating! 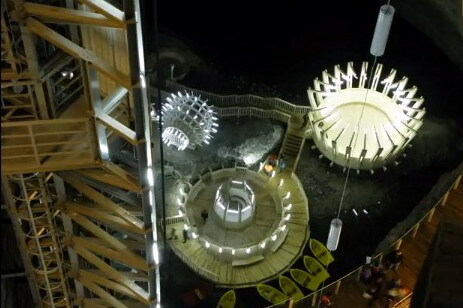 I'd love to go into the Turda Salt Mine.